The business of manufacturing and selling cars has come a long way. Gone are the days when you would consider yourself fortunate if your new car included seatbelts has standard equipment. These days, automobile manufacturers include a ton of gadgets and gizmos as standard equipment in order to outdo each other. Safety aspects like ABS, airbags, traction control are almost mandatory by law and no longer a factor to help you decide between competing models. What you do have to look out for is the amount of equipment that comes as standard with the vehicle; after all, you do want maximum value for your money. It cannot be denied that satellite navigation is one of the best things to have ever happened to humanity. No more fumbling over the torn pages of a road map or continuously pulling over at gas stations to ask for directions. Despite this, it is amazing how many car manufacturers do not offer a satellite navigation unit as standard. You can buy an aftermarket GPS unit, but why spend the extra money out of your own pocket for a gadget that should really be standard equipment in all vehicles. Quote often, especially in entry-level compact cars, the presence or lack of a GPS unit is often “the” deciding factor for buyers, as it should be. There are many situations in life when we wish that we had eyes in the back of our heads. Whether evolution has that in store for mankind’s future, we do not know. However, what we do know is that we could certainly use them when reversing a vehicle. Twisting your back and craning your neck to see over the rear seats is hardly a dignified or healthy way to see where you are going backwards. Thankfully, there is a solution to that. 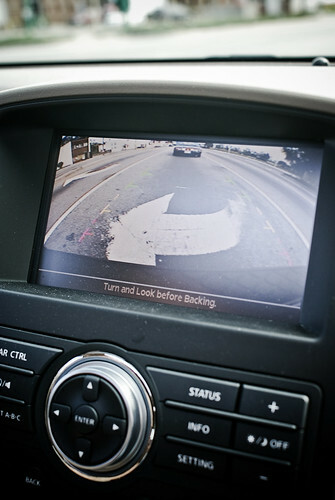 Initially sold as aftermarket kits, backup cameras have become standard equipment in most non-entry level cars. In fact, if you are buying a car equipped with a satellite navigation unit, chances are it also has a backup camera that shares the same screen as the GPS unit. So you can pair your smartphone to the audio system’s head unit using Bluetooth? That’s cute. It is a mighty useful feature for those looking to avoid using AUX-in cables, but apart from playing your music wirelessly, it is of not much use. 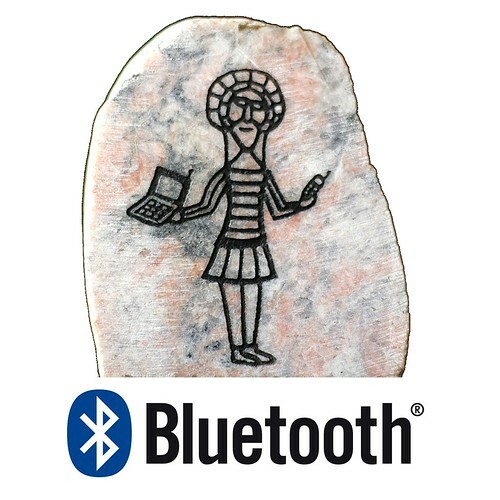 Many car manufacturers are rolling out vehicles that have complete Bluetooth integration. This means that not only do you not have to spend money buying an aftermarket Bluetooth-capable head unit, but also your entire vehicle becomes a large Bluetooth speakerphone. Hook up your smartphone to your vehicle using Bluetooth and enjoy the luxury of making hands-free calls without those annoying little Bluetooth headsets crammed up your ear canal. You owe it to yourself to make sure that you are getting the most value for money when buying a new car. The next time you pick up a brochure at the showroom, pay special attention to the gadgets and gizmos that will be at your disposal should you choose to opt for a particular model. This guest post is authored by Sean Dowd. He works as a sales executive for Suncoast Car Care, an auto repair service provider based in Queensland. He loves exploring the web for the latest gadgets available in the market and likes to blog his opinions about them.